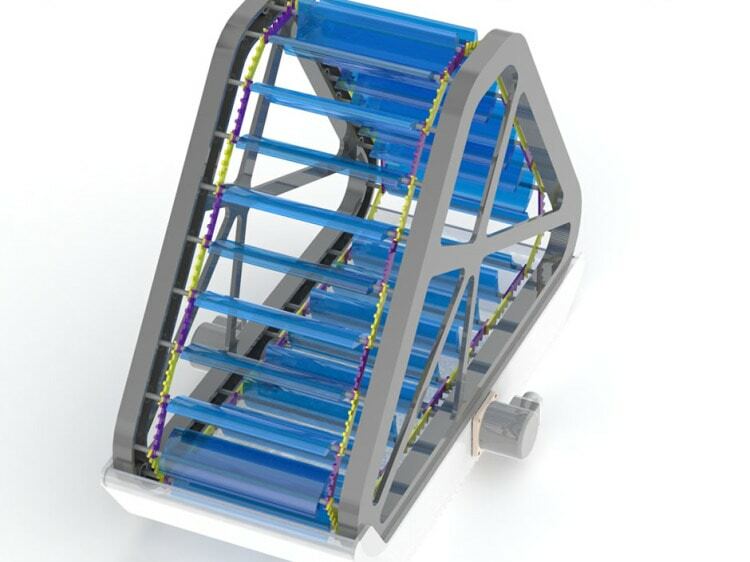 Everlift proudly presents its latest concept in renewable energy: the Looped Airfoil Wind Turbine (LAWT). To help you visualise what LAWT is about, it basically uses the “fixed-wing” theory favored on an airplane. The approach is to intake the kinetic energy of linear wind before converting it to electricity. The turbine is extensible from 10KW to Megawatts. LAWT presents various advantages, such as the following: blades can be compared to an airplane’s wings and travel horizontally, no gears are needed (only Sprocket wheels), constant profile along its entire length, meaning an evident reduction of manufacturing costs, etc. The market is expanding!